Have fun making delicious creations with the new Tsukuru Oyatsu Series Pokemon Choco Maker!! 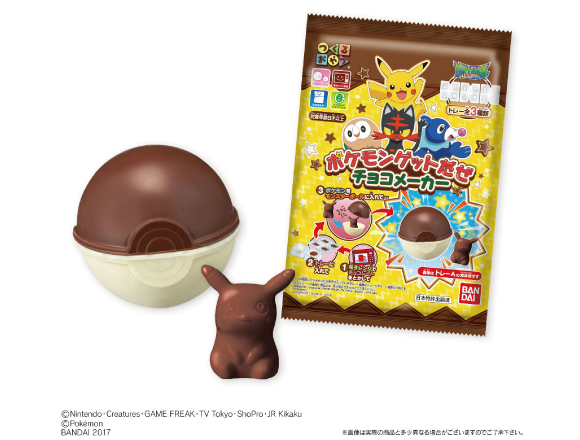 Popular series sweet-making kit “Tsukuru Oyatsu” now has a new addition to their original character chocolate series – get ready for the “Tsukuru Oyatsu Pokémon Get Daze Choco Maker”. This new product will be stocked up in the sweets section of supermarkets and convenience stores nationwide. 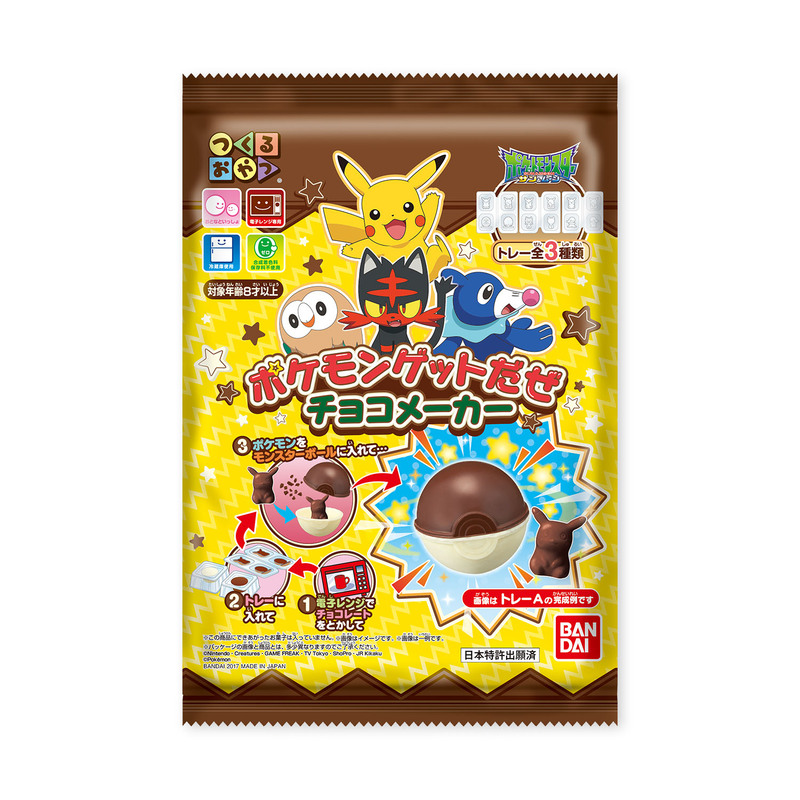 The Tsukuru Oyatsu sweets creation kit is now featuring a pack based on Pokémon Sun and Moon – a TV anime which is currently broadcast as a TV Tokyo Keiretsu series! Now you can make chocolate treats in the shape of Pokémon and a monster ball! The Pokémon shape modelling tray included in the pack comes in three varieties; the Pikachu A/ Rowlet mould, Pikachu B/ Litten mould and Pikachu C/ Popplio mould. ▶ Check out the following video on how to make your chocolate Poké-tastic creations! Simply microwave the chocolate that comes in the pack until it has melted and then transfer it into the tray that comes in the pack. After allowing the chocolate to solidify in the refrigerator, you can fill your monster ball with choco crunch and your chocolate Pokémon. In the Tsukuru Oyatsu series, this product is aimed at intermediate to advanced level sweet makers, so make sure you pay close attention to the video to make your sweets!